There is no shortage of quality restaurants on Folly Beach. And the beachside location combines with the Lowcountrys culinary expertise into something perfect, fresh, and worth enjoying over and over again. This delicious approach is what makes the Taste of Folly a must-enjoy festival every year. This years Taste of Folly will be held on Center Street on Saturday, January 19. The annual event will help raise money for Folly charities and promises to have music and fun activities for the whole family. But of course the real reason to visit this festival is to taste all the food that Folly has to offer. The islands best restaurants and food vendors will be selling bites of their specialties, so you can try a little (or a lot) of everything all in one place. Does it get any better? When you come, be sure to bundle up. The warm temperatures that have been brushing Folly lately will fade by mid-week. Thursdays high is predicted to be right at 60 degrees. And rain showers are possible on Friday when the temperatures wont even reach the 60-degree mark. But by Saturday the rain should have cleared out, and partly cloudy skies will mean some sunshine during the afternoon for the Taste of Folly. Temperatures will peak right at 60 degrees for the day. 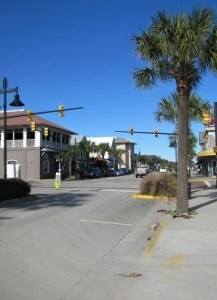 Sundays weather will look just like Saturdays, making the weekend typical of January on Folly.